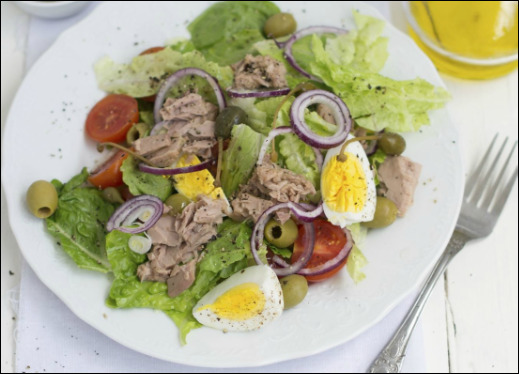 Sometimes the classics win out and there's nothing quite like a Mediterranean Salade Nicoise. All we've done is remove the potatoes that you usually find in traditional recipes, and replace them with scattered pine nuts and a few herbs. - Remove the beans and place in cold water to keep them ‘al-dente’ while letting the eggs cool naturally; this keeps them yellow and slightly moist. - Adding croutons or pine nuts adds just a little crunch. We choose the low-carb option so sprinkle with pine nuts as and when desired.